Custom Fundraising Calendars are a fantastic way to raise money and keep your department in the public’s eye all year long! 1. Create a custom standard calendar and sell it directly to your community. 2. Visit local business and offer them sponsored advertising space throughout the calendar. This way your upfront costs are covered and you can either distribute it freely throughout the community or sell it for additional profits. Choose which method is best for your department and we will help you through the process of getting the perfect calendar set up for you! Each calendar has a different custom picture for every month. 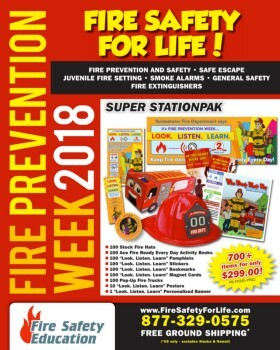 Fire safety tips and smoke alarm reminders throughout. 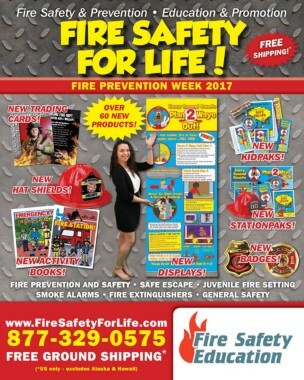 Two pages available for your custom message or use our stock fire prevention and safety content. Free Artwork and Design - We make it look great for you. Free Shipping to the lower US 48! A Fantastic Return on Investment! If you purchase 1000 Custom Standard Calendars at $2.05 each, your total investment will be $2,050. Sell 1000 calendars to members of your community at $15.00 each and your fundraising efforts will return $12,950! Sell the calendars at $20.00 each and your fundraising efforts will return $17,950! Need help? Call our sales team for information on finding the best photos, choosing a fundraising method that's best for you or getting custom content created just for you. We are here to help! If you choose to sell advertising, we can design custom ads for your sponsors for only $25.00 per ad!